You hear it all the time, the doom and gloom surrounding the current retail climate. I don’t disagree that retail has evolved in many ways but there is no doubt brick and mortar stores still have definite advantages over any online store. The physical experiences, the ability to touch it, feel it see it and try it on are not available online. People are not available online. When I say people, I mean the actual human interaction, the bonding that takes place between the Sales Associate and the shopper. The emotional journey achieved only in the brick and mortar store is still desirable and far from extinct. Why not be the people the online stores can’t? All of this being said it is important to not just recognize the advantages of brick and mortar but to maximize every advantage you have. If you haven’t done it already, create the coveted emotional connection needed to drive foot traffic into your store. Now, rinse and repeat. So, what can you do? Go back to the basics and master the art of the coveted retail experience. Here are the top seven ways you can maximize your brick and mortar potential. Run, don’t walk. Attract the very best talent. It is imperative you hire the correct people. Sounds easy, right? Not so fast Hiring Manager. In order to attract the talent for whom you are looking, it is important to ensure the position pays well, offers incentives, and benefits. In addition, this information should be communicated clearly to the candidates. If you have a good candidate, it is equally as important that you are able to sell them on the opportunity, as it is they sell you. Teachable Sales Associates are essential. Hiring teachable Sales Associates is a MUST. I don’t care how much experience a candidate has, if they are not teachable they are not an option. Hire Sales Associates that genuinely like people, passion can’t be faked. It sounds obvious but it really isn’t. Passionate Sales Associates are a critical ingredient, if not the most critical ingredient, in the retail experience. They can, and will, make or break the experience. Have a good supply chain. The last thing you want to do is attract a customer to your store only for them to find you are unable to get the product they want and they could have purchased it online. Limit the discounts you give. If you have sales or offer discounts frequently, you will encourage customers to wait for the price break in order to purchase things. This is the one time when it may be important to NOT give the customer what they want. Scarcity may encourage new behavior. Make time to properly train your employees on the products you sell. The more information and working knowledge they have, they more inclined they will be to sell effectively. How could they sell something they’ve never actually used? The answer is, not well. 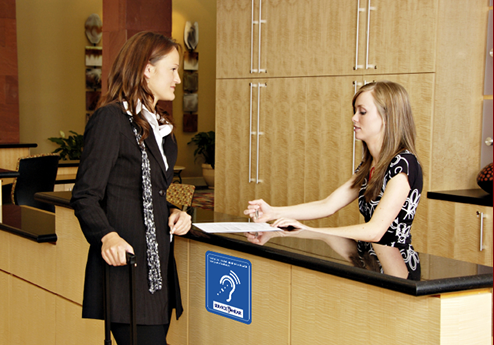 Ensure your Sales Associates are accessible. This goes beyond being visible. It means they are both mentally and physically present and agile. Every Sales Associate, and Manager, should be ready and willing to jump into a consultative sales role that is personalized for each and every individual customer at any given time.